What is it like to do a TEDx talk? WOW – I’ve done it! 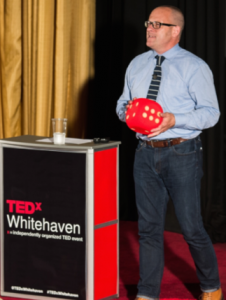 Firstly, my thanks to Dianne and Luke Richardson who invited me to speak at TEDxWhitehaven on 7th September. Alongside a stellar and varied cast of speakers I delivered a completely new Keynote – 18 minutes of crafted content around the next phase of our business development: Engineering Random Opportunities to Succeed. Want to know more about Engineering Random Opportunities to Succeed? Well, EROS (I may do something about ‘loving your future’ with the Eros thing but I’m not sure yet) explores the concept that when young people are put into circumstances they would normally not be exposed to, they experience life-changing experiences. By working with organisations with a CSR budget and the desire to support their wider community, cleverly designed activities allow everyone to benefit from the experience. 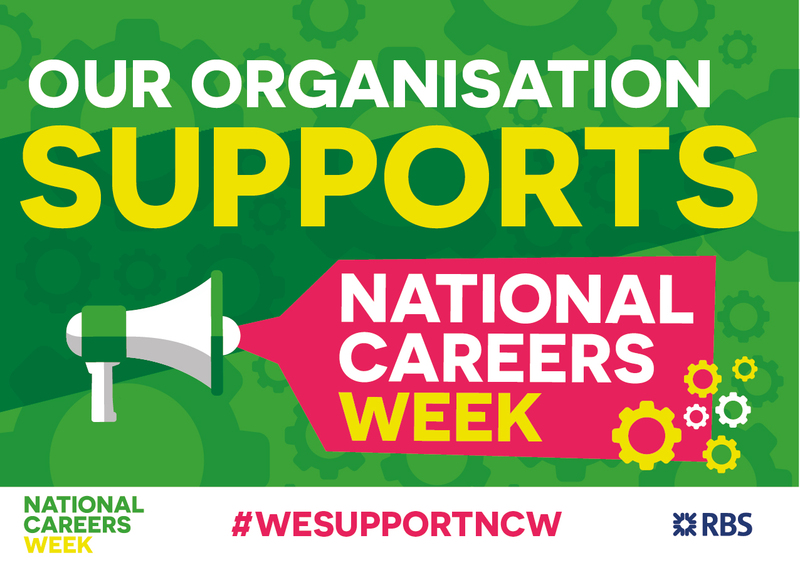 Young people experience a realistic business-based challenge, companies can see how talented young people approach their products or services and company staff work mentoring young people with their experience . Well, how was the talk? Actually the talk was great – loved it, audience were brilliant, team were superb and the timings were perfectly observed by all the speakers. How was the preparation? AArrgghhhhhhh! I over-worried and under-focused for too long. I read a great book (How to Deliver a TED talk by Jeremey Donovan) whilst I should have been resting on a sun lounger . I made copious notes. More notes and more notes. Because I needed to get the talk PRECISELY to no more than 18 minutes (and because I was asked to) I scripted the talk TO THE WORD (something I never do usually). Practicing a talk you have scripted to an empty room is not only unnatural it is just plain weird! Practicing a scripted talk to an empty room does not help your timing. Practicing a scripted talk to an empty room does not help your confidence. There were three elements that built into the ‘perfect TEDx talk’. But, when I went through it on the 5th September it just didn’t flow. I took some time out, walked the dog with no phone and blew-out the cobwebs. After I’d slept for a couple of hours I work up and the solution was there in my head so I got up and wrote it onto a piece of A4 from the printer and left it at the top of the stairs and went back to sleep. Take out 30% of the words. Remove one of the examples. Take out that bit at the start about you. I did all of the above to number 5 and tried to do number 6 but this was a BIG deal, so I couldn’t completely forget the talk but I occupied myself with other things before I drove to Whitehaven. Everyone involved in the TEDxWhitehaven event had a good meal and some laughs then we retired to our hotels and homes for the night. On the 7th September (the actual day) after a fitful sleep the nerves were high in Whitehaven but as I watched the audience collect, drank coffee and chatted to the other speakers (all in various stages of calmness, chaos or meltdown) I began to have faith that it was all going to be ok. I was on in 5th place and felt there wasn’t any more I could do so I relaxed into it and enjoyed the other speakers.